Pa Naw Dee arrived in the USA in 2008 with his family. He holds a Bachelor of Arts in Psychology at Yangon University of Distance Education, and a diploma in Computer Information Technology at Informatics Computer Institute in Burma. Throughout his life Pa Naw Dee has volunteered to help others. For more than fifteen years he has served as an interpreter, social worker, and administrator. With innovative leadership skills, he has managed many people from different backgrounds and cultures throughout his career. He is one of the co-founders of the Karen Society of Nebraska former to meet the critical needs of refugees from Burma. Pa Naw Dee's vision is to help immigrants achieve "The Good Life" in Nebraska. Wasana Somphatanapong arrived in the USA in 2010, following her husband to Lincoln, Nebraska. Since 2011, she has volunteered as an Interpreter at the Karen community office. She holds a B.Ed. in Social Studies from Rumkumhang University, Bangkok. She worked as an adult education teacher in Thai Education Department for two years and as a teacher preparation coordinator for 5 years at the Karen Education Department. Her philosophy is money doesn't matter as much as supporting people who need help. Rosanna Roland came to the United States in 2008 and moved to Omaha in 2012. She graduated from John Muir Charter School in 2010 in San Diego and goes to Metro Community College to improve her English. She started working at the Karen Society of Nebraska on April 2012 as office staff. Her job is helping Karen, Karenni, Kachin and whoever needs assistance obtaining food stamps, Medicaid, rent, translate letters, make phone calls, and offer any other help needed. She helps refugees live a happy life even if they cannot speak English. Mu Hser came to the U.S. from Mae La refugee camp, Thailand in September 2008. She and her husband have three children. She has been taking English class since 2009.She used to teach for SE(special education) for a year and She working for Library in Thailand. She has been active in volunteering by interpreting, giving rides to doctors, dentists, hospitals and apply job. She works in the Karen office to help families and active in the Karen Baptist church. She hosts many Karen activities in her home. She acts as a support person for refugee families who need help. Lar Lah came to the United States in 2009 from the Tham Him refugee camp in Thailand. She got her high school diploma at Huron High School, South Dakota, and is currently studying at Southeast Community College to improve her English. She has been serving in the Karen office since August, 2012, doing interpretation, taking people to job interviews, medical clinics, and assisting with other tasks. She serves as a volunteer staff member with the hope of continuing to fulfill needs of the immigrant community. Saw Khu and his family migrated to the United States on 09-99-99 and has been leading the Karen Community since 2000. He was the founder of the Karen Society of Nebraska in 2006 while working with (LFS) Lutheran Family Services, Inc. as a case manager. He received the employee of the region and the employee of the year awards in 2008 through the LFS organization. He is also the founder of (KCRC) Karen Christ Revival Church, Inc. in Omaha, Nebraska. He is the owner of SalweenThai Restaurant in Omaha, a community leader and an ordained pastor as well. Saw received an honorary doctoral degree from Christian International Theological School in August 2013. Saw focuses his vision for his people on raising their standards physically and spiritually to become the blessing for the nations. HehWah Luthersanba arrived in the USA as a refugee from Burma in 2007. She was trained as a medic at the Shoklo Malaria Research Unit, Mahidol University. She served as a nurse and paramedic, as well as a researcher at the Malaria Research Unit for 15 years. She used to be a professional interpreter at Lincoln Public Schools and Asian Community and Cultural Center. Currently she does medical interpretation at the Lancaster County Health Department. She started volunteering at KSN in 2008. She is using her experience and knowledge to aid her community in their effort to gain self-sufficiency. Saw Ner Clay is an ordained minister since 1998 in Thailand. He has had much experience with a variety of ministries such as, running a Bible college, evangelizing in Burma, Thailand, Cambodia and Philippines for more than 20 years. Saw and his family came to the United States in 2008 and joined with the Karen Society of Nebraska and lives in Omaha. He is serving as Associate Pastor of the Karen Christian Revival Church. Saw and his family received the "Challenge and Success" award in 2011. Saw received an honorary doctoral degree from Christian International Theological School in August 2013. His vision is "Blessed to be a blessing". He is the mission director, church planter and evangelist to all of the Karen churches in the United States. Po Hteh and family arrived in United States in 2004 and moved to Omaha, in 2005 where he has been working with Southern Sudan Community Association, as a case manger. He has been one of the leaders in the Karen Society of Nebraska. Po continues to attend the Metro Community College in accounting. He is a professional medical interpreter in Karen, Burmese and English languages. He has a great passion for helping the refugees who are in great need. Cheryl Brazee graduated from the University of Nebraska with a Bachelor's Degree in Criminal Justice and Psychology. 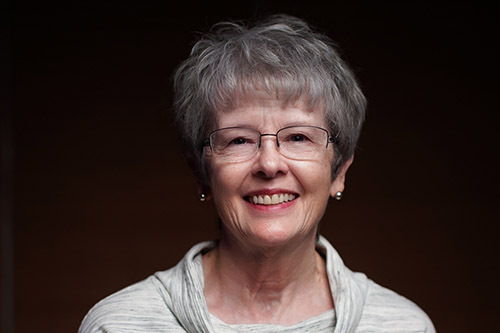 Cheryl has served for 35 years in a variety of mission-related organizations. Cheryl has incorporated her experience in missions, education, finance, family and community to identify need and provide assistance. Currently, She serve as a youth leader, Sunday School education teacher and oversee the tutoring program. She attend the Karen Church Services, sing in the choir, assist youth and families with various financial assistance forms and assist with wedding coordination. Susan was born in Nebraska but grew up in New York. After moving back to Nebraska, she joined First Baptist Church where she became involved in the Karen Community. Susan has taught Karen children in Sunday school, regularly attends the Karen worship service and sings in the Karen choir. 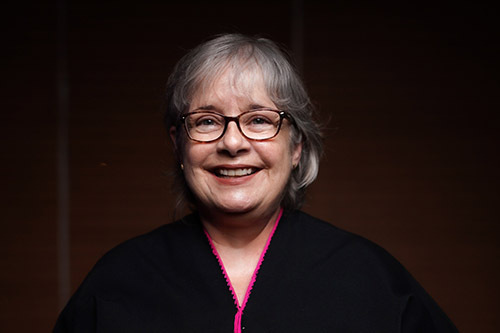 She has worked in the fields of accounting, consumer protection and human resources for over 40 years and feels that this experience will benefit the Karen refugees in their transition into life in the United States. Pae Pae arrived in the USA as a refugee from Burma by herself in 2007. She assists refugees and immigrants seeking a better life. In 2009, she volunteered at the Karen office by reading mail, helping with job applications and many other duties. She studied Intermediate Medical Interpretation at Southeast Community College and served as professional interpreter for Thai, Karen and Burmese with Language Link, and as Bilingual liaison for Lincoln Public Schools, working with students and parents. Now she is a full-time medical interpreter in People Health Center. Susan Kash-Brown has worked at Southeast Community College in the Adult Education Program since 1993 where she currently serves as the ESL Assistant Director. She holds a B.A. degree from University of Nebraska-Lincoln in Spanish and Latin American Studies and a Masters degree in Intercultural Administration from School for International Training - Brattleboro, Vermont. Susan began her career as an educator in ESL/EFL in 1981 when she began teaching English in Japan. Susan feels that education is key for success. She wants to assist immigrants and refugees navigate the educational system. Moo Rah Htoo was born on the border of Thailand and Myanmar June 23, 1973. He graduated from Kaw Moo Rah high school in 1992. After graduation, he attended laboratory training and became a trainer for laboratory in Huay Kaloke refugee camp in 1993. In 1993, he worked with Karen youth organization in Kaw Moo Rah. After he relocated in Umpiem refugee camp, he worked as camp health coordinator. In 2008, he immigrated to Jacksonville, Florida. In 2010, he moved to Lincoln, Nebraska. He joined Karen Society of Nebraska as a committee member in 2013. His ambition is to support the community as need. Laura Lo Xiong came to the United State at the age of 11 and under the UNHCR resettlement program. As a refugee, She had the opportunity to be educated in the western society and make the best out of life. She graduated from the University of Nebraska at Omaha with a Bachelor Degree of Arts, majoring in International Studies. She have been joining the work force and worked in various industries. However, the most enjoyable position with the biggest responsibility She have ever got involved was being the Executive Director for Hmong International Human Rights Watch for 12 years. She had the opportunity to meet with many government officials as well as many representatives from various organizations and agencies who are dealing with human rights issues. She joined The KSN in 2010 with great passion toward supporting the critical needs of refugees from Burma. Poeh Adler arrived in the USA in September 2009 with his family. He graduated from Noh Bo Academy School in Thailand in 1999. 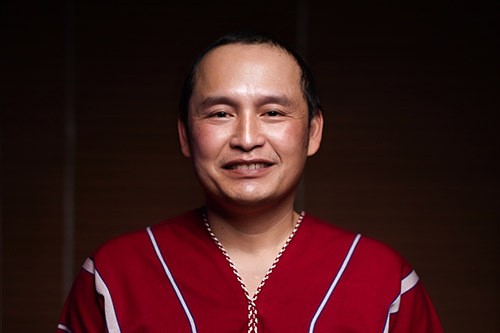 He worked with the Karen Internally Displaced School (KIDS) for five years and served as President of the Karen Student Network Group (KSNG) for two years. Poeh Adler has a passion for working with youth and media. He produced several Karen movies, including Thwe Ka Nyaw and 25 Tar Nay Thar, while living along the Thai-Burma border. 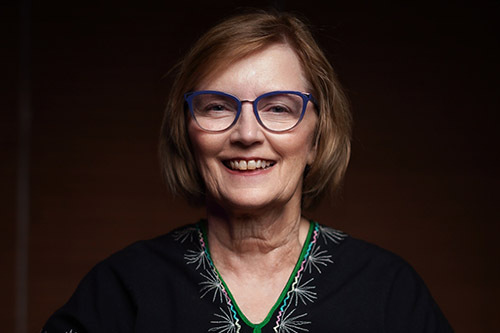 Poeh Adler joined The Karen Society of Nebraska in 2010 with grace and ambition toward helping develop the Nebraska Karen community into a better life. Lon Sorenson grew up in Omaha and Lincoln and graduated from Nebraska Wesleyan University with a business degree. He was an insurance agent until he retired in 2005. In 2007, he started volunteering with driving Karen families to church, then began driving them to medical appointments, until now in 2014, he drives seven days a week, ten hours a day wherever he is needed. In 2007 he visited the refugee camps in Thailand where our Karen people have come from. He is proactive in getting people into ESL classes and finding jobs and encourages students to further their education.